The ShiftForward Private DMP was designed to be scalable, flexible and easy to integrate with multiple environments. The Private DMP uses a micro-service based architecture, deployed using Docker containers in a Mesos-managed cluster. This allows each component to be individually scaled and ensures infrastructure portability. That’s why the Private DMP can be deployed in your private cloud infrastructure, under your domain, while being managed by us, assuring that data is always yours and does not have to leave your premises to be used. The Private DMP deploys under your domain and in your private or cloud infrastructure. This assures that data is always yours and never leaves your premises. The Private DMP provides APIs for capturing and delivering information both for offline S2S and real-time, promoting the best approach for each use case. The Private DMP can be deployed over multiple instances. Specific data sets and aggregations can be shared between them, ensuring that the required data exists with those who need to query it. 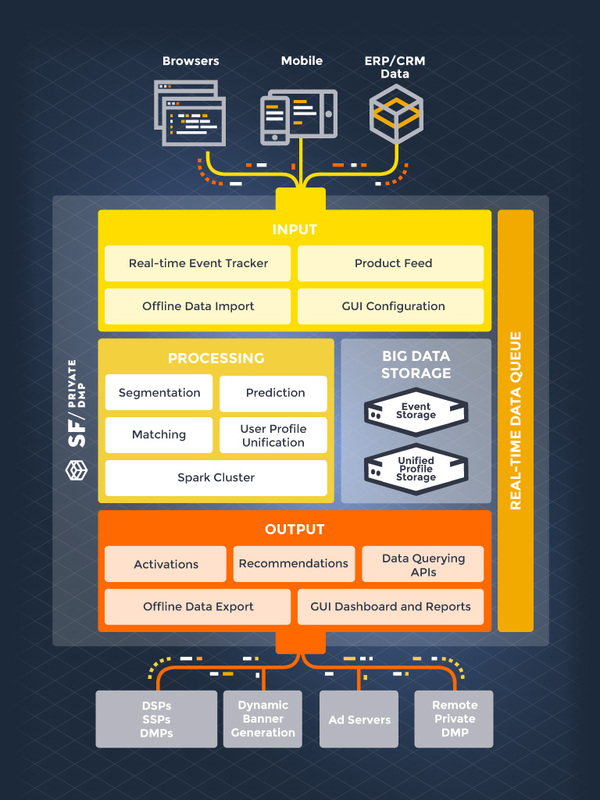 Have your own Data Science team build and run their algorithms at scale against your data. 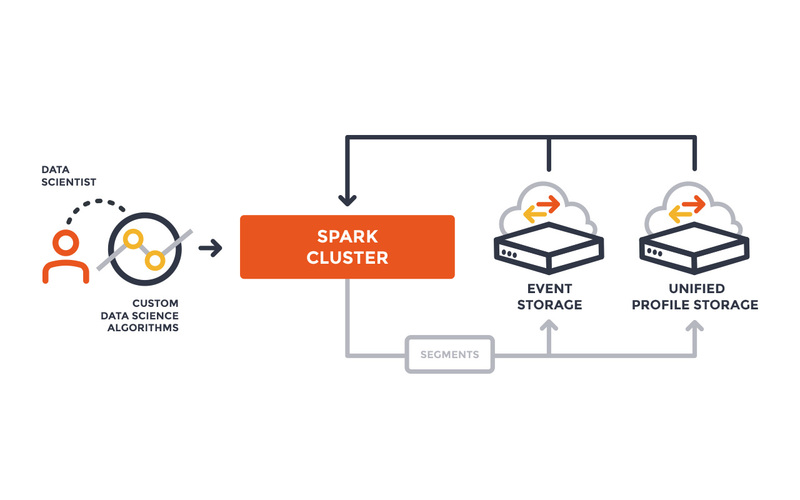 The Private DMP provides the required infrastructure, programmable using any Spark-compatible language. Have your users uniquely identified using the Unified User ID, available since the user’s first event. The Private DMP will handle match requests from multiple channels, aggregating all its data. Have your user segments exported in realtime of offline to all your partner or services. The Private DMP already integrates with many top-tier DSPs and services. Additional integrations can be added by request.